My second underwater attempt! I had to deal with equipment all on my own this time and holy cow it was so freaking stressful. ._. I had to practice opening/closing the housing and changing the ports/domes for like 2 hours at home to make sure I'd remember everything haha. Someone also randomly asked me on Instagram how much this weighed so I did a quick google and added the weights together, it totals up to roughly 5.3kg/12lbs! A lot lighter once underwater of course, but still pretty hefty! Anyway I really liked this picture. ^^ I haven't been doing as much person-in-motion photos compared to my early work, so I thought it's a nice change and addition to the series. On the technical side -- I think I'll have to update my underwater tips post now -- I've definitely learned a couple new things doing everything on my own this time. 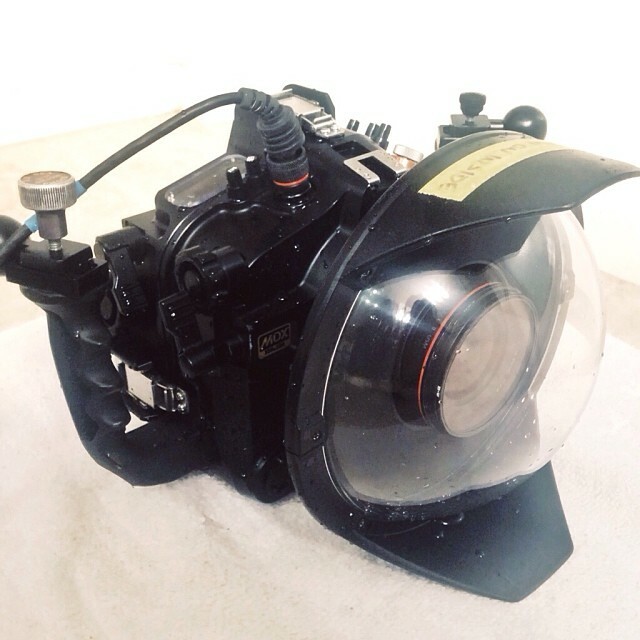 The first time I shot underwater I used a Tokina 10-17mm on a Nikon D300. But even with the sensor's crop factor, it's equivalent to about 15-25mm on a full frame, still a really wide focal length considering my usual lens is 70-200mm. This time, as I rented my own housing, I got to use my own camera so I tried shooting with the 16-35mm and 50mm. Both worked out great, but the 16-35 probably worked the best for full body. I can definitely see 50mm being perfect for something like beauty though. I felt that one assistant wasn't enough the last time, so this time round I got four! :D It may sound a little excessive (it totally did to me) but it turned out just right. 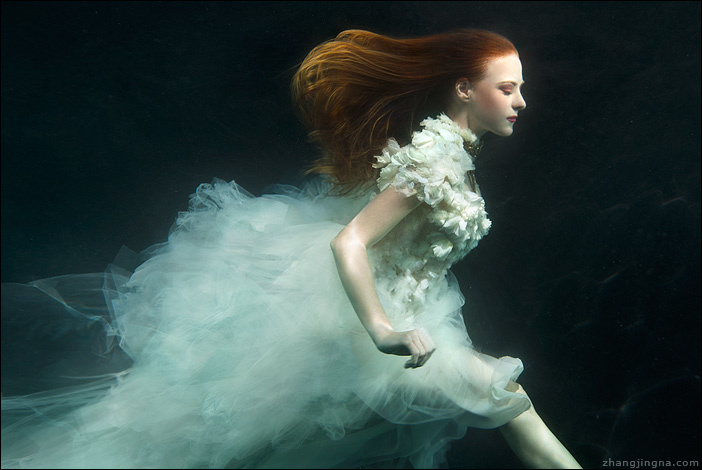 I had 2 assistants help with everything that needed adjustment underwater: fabrics, dress, strobe cords, etc. And the other 2 for the strobes (one in water and one above). Remember how I mentioned it was difficult to sink on my own? Having weights last time was cool but it still required quite a bit of swimming as I tried to chase my angles. Apparently I found out this time, that it's actually pretty nice to have an assistant press me down into the water so I didn't have to think about pedaling while trying to work against floating at the same time. It allowed me to get ready better in the first couple seconds instead of having to make sure I was just focused on sinking properly, and when I found a spot I liked, it was a lot easier to stay in the same place for a short while with the help.